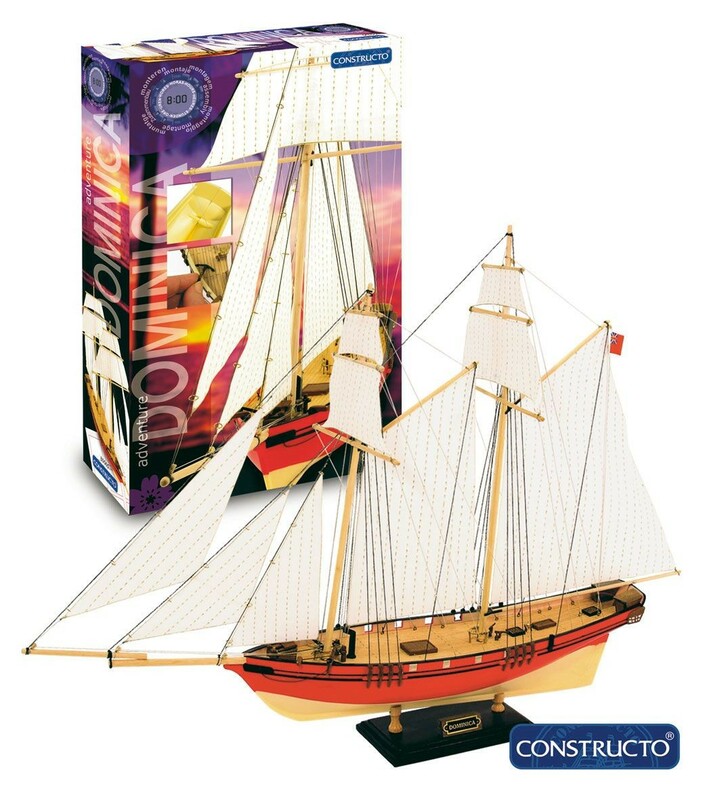 The Dominica is an easy to build topsail schooner kit from Constructo's "8 Hour Series"
Features a pre-painted polystyrene hull. Includes pre-printed wooden deck, wood and metal fittings, wooden dowels for masts and yards, and pre-printed sail cloth. Also includes paints, brush, glue and sandpaper. A great weekend build for one low price!